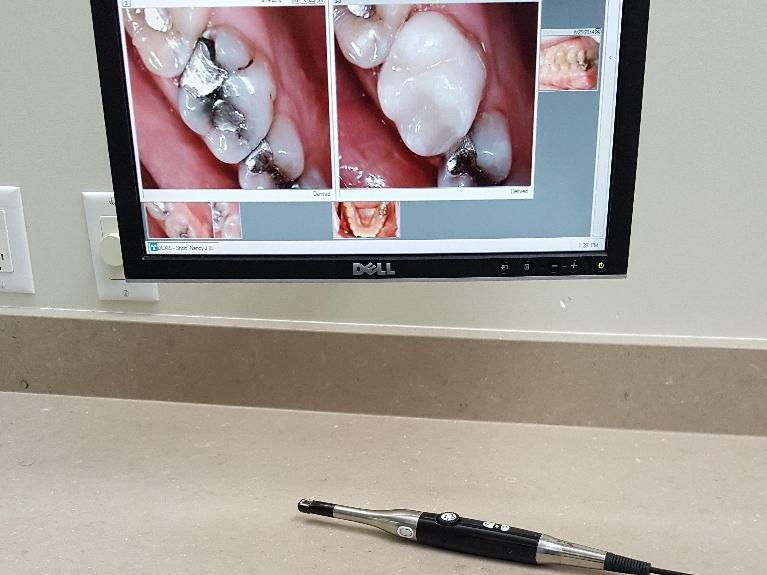 At LJ Dentistry, we are proud to offer our patients some of the most cutting edge technology available in dentistry today! 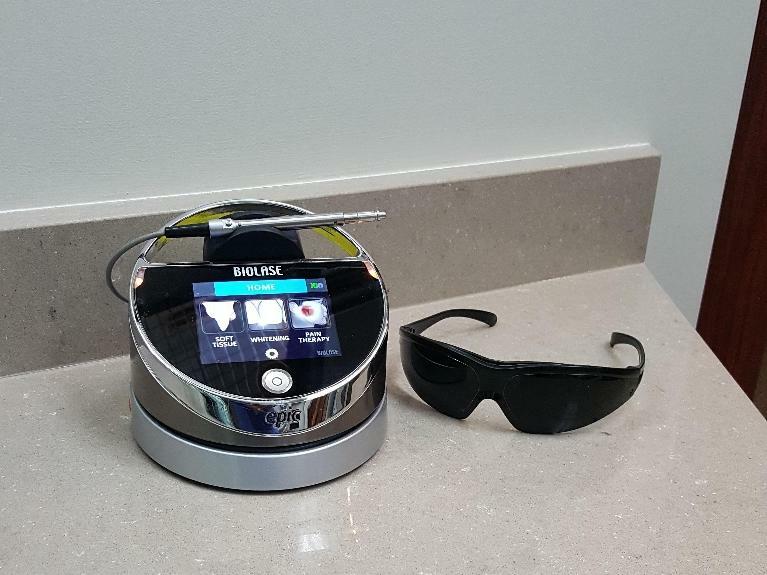 We understand that staying up to date with the latest technologies helps ensure a more comfortable, efficient, and pleasant treatment experience for our patients, and that is our number one goal. We’re excited to share more information about some of our advanced technology. X-rays are needed for accurate and timely diagnosis. We’re proud to offer digital x-rays and panoramic images at our office. Digital x-rays give our doctors a better image and clearer picture of what’s going on internally. With advanced imaging, they’re able to detect many conditions in earlier stages, which can ensure less invasive treatment. Digital images expose patients to 80% less radiation and they’re also much safer for the environment because there are no chemicals needed for developing. CEREC has streamlined the entire restoration process, and now we can fabricate porcelain crowns, veneers, inlays, onlays, and dental implant crowns in our own office in a matter of hours instead of weeks. 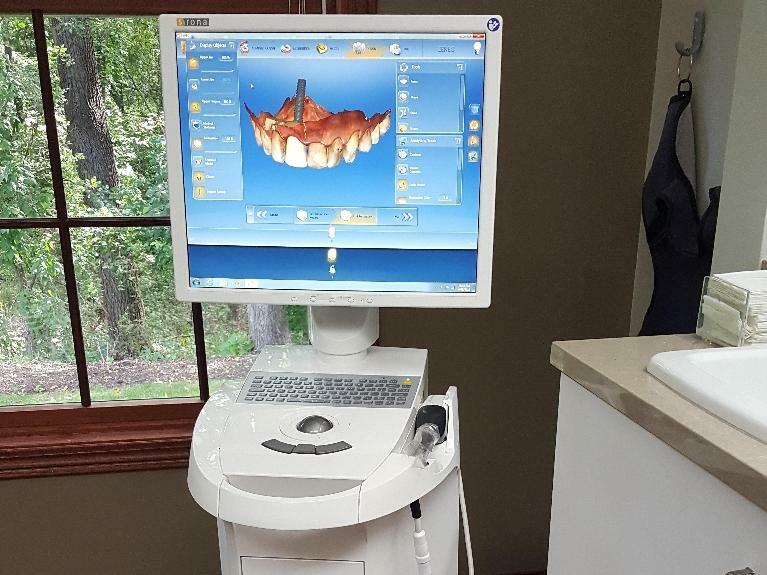 This revolutionary technology uses 3-D imaging to scan and create the restoration, making it more comfortable, accurate, and precise and saving the patient multiple appointments. Our intraoral camera offers clear pictures of exactly what’s happening in your mouth. We can show you the current state and health of your mouth with these clear color images. If you have teeth in need of repair and restoration, digital photography can help you understand which treatment procedures may benefit you and why they’re necessary. Our dental laser allows us to treat dental lesions and provide gum contouring in a more comfortable manner. The laser keeps treatment clean and sterile, which allows for a quicker and easier healing process. Contact our office today to learn more about our advanced technology and how we can help you maintain your oral health.